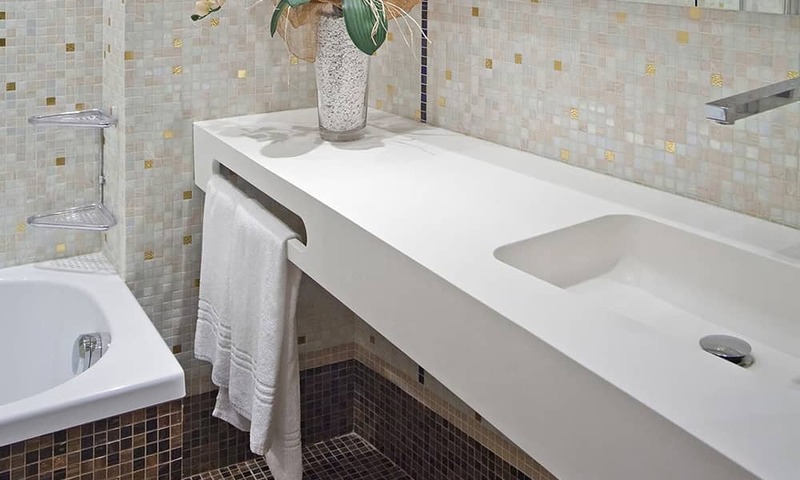 All the rooms are refurbished, in an elegant, modern, refined style. 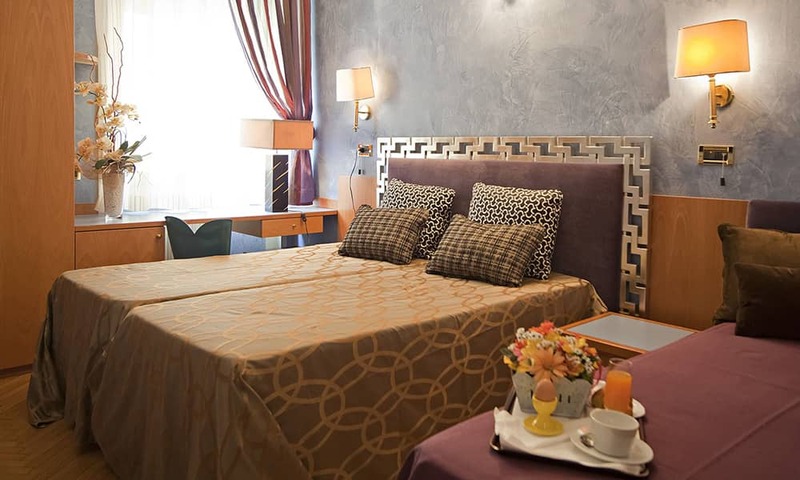 Hotel Europa provides our guests with well furnished rooms, free wifi, safe and other facilities. 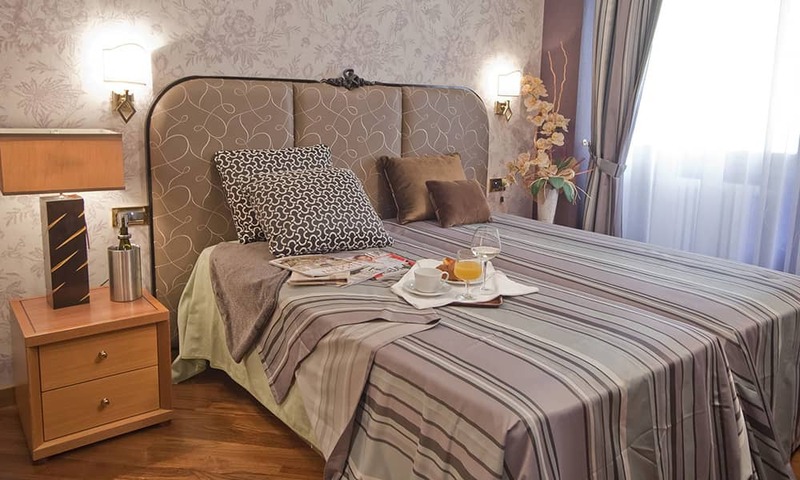 The single rooms of Hotel Europa Verona are cosy and elegant: Parquet flooring, en suite bathroom, direct dial telephone, air conditioning, central heating, free WiFi facilities, LCD TV, minibar, hair dryer, safe. The Hotel has a strategic location; it is very close to the Arena and to many monuments of the town, which are easily reachable on foot. Single rooms of the Hotel are clean and comfortable. The friendly staff and the splendid location of the Hotel, offer a pleasant stay and at the same time, it provides privacy and relaxation. 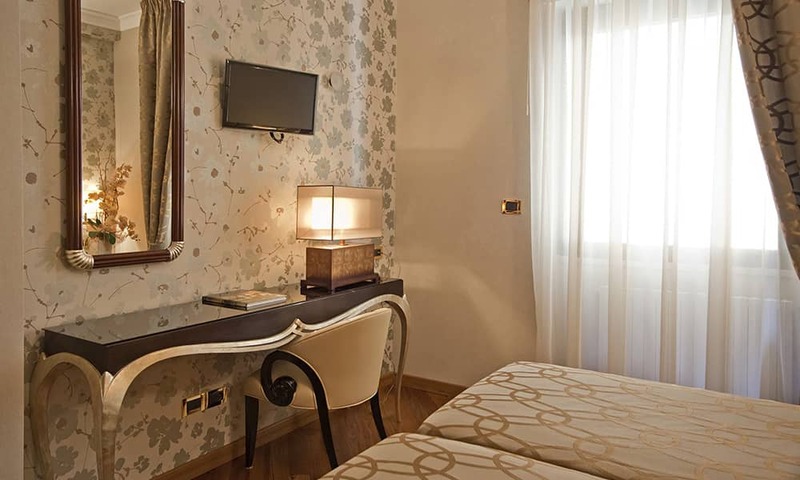 Hotel Europa Verona allocates double rooms for single use. 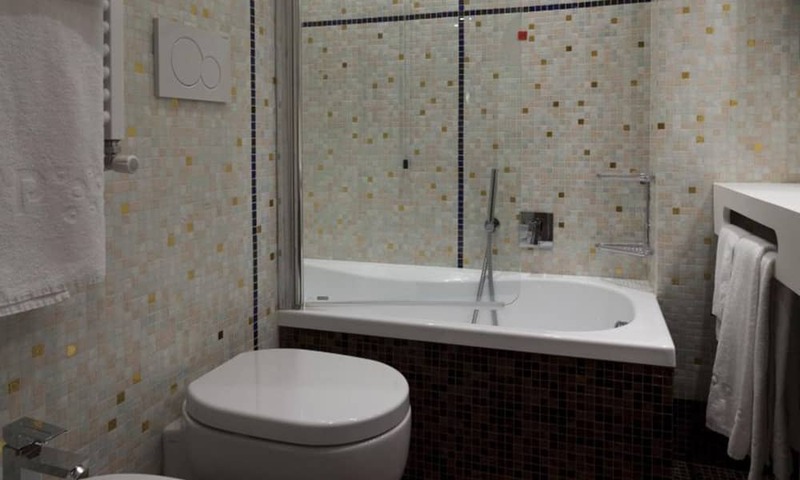 The rooms are cosy and comfortable, refurbished with modern pieces of furniture, flooring parquet, en suite bathroom, telephone with direct dial, air conditioning, central heating, free WiFi, LCD satellite TV, minibar, hair dryer and safe. The Hotel is ideal for a work or a holiday-stay. It is easy to reach because it is located in the city centre and allows you to visit easily monuments and other attractions of Verona. A perfect stay to dive into a pleasant atmosphere, particularly during the holiday period. Our Double rooms are very comfortable. 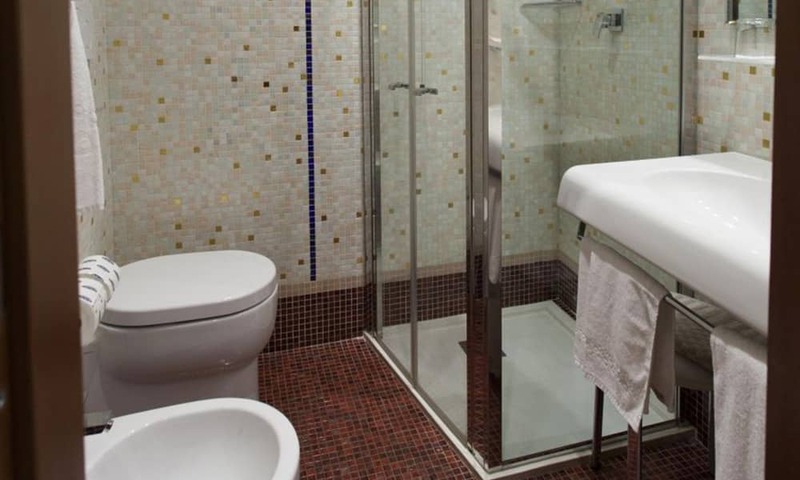 En suite bathroom, direct dial telephone, air-conditioning, heating, free WiFi, LCD satellite TV, minibar, hair dryer and safe. 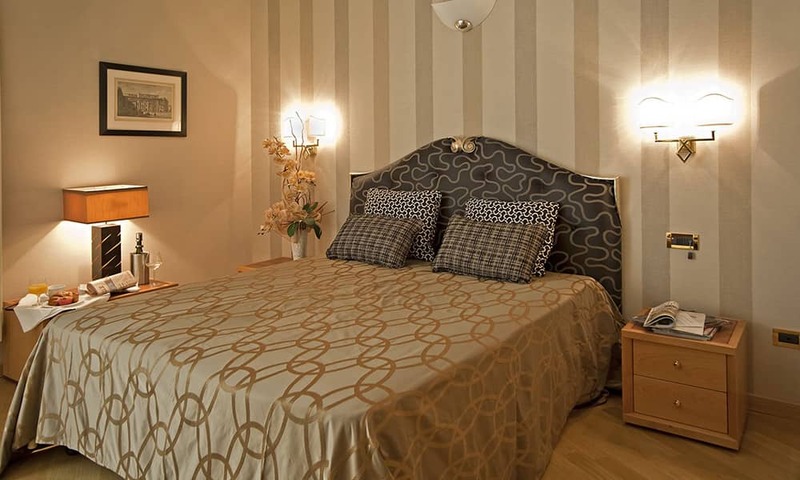 Rooms are refurbished in an elegant and refined style with parquet flooring. Our pleasant staff and the splendid location of the Hotel, offer a fantastic stay, and at the same time provides privacy and relax. 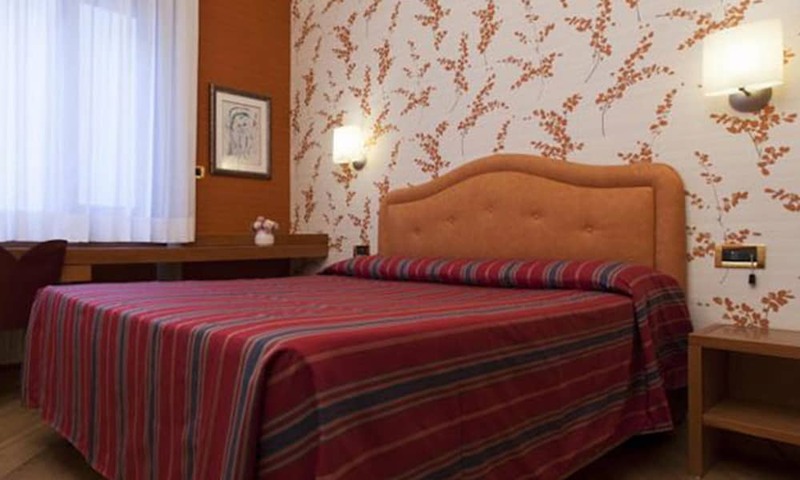 Hotel Europa Verona offers to his Guests twin rooms. 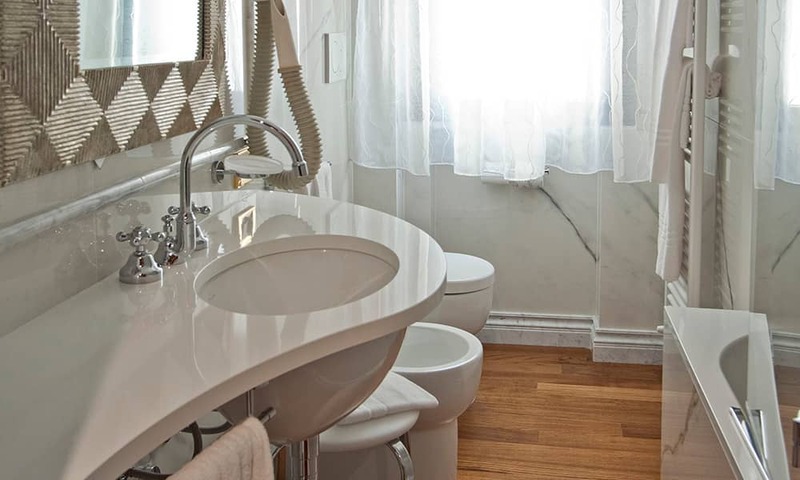 They are refurbished in a modern and elegant style with parquet flooring. Among the comforts offered by the Hotel we offer telephone with direct dial, user controlled air conditioning, free WiFi, LCD satellite TV, minibar, hair dryer and safe, in addition to the courtesy and the professionalism of the staff always willing to meet your needs. 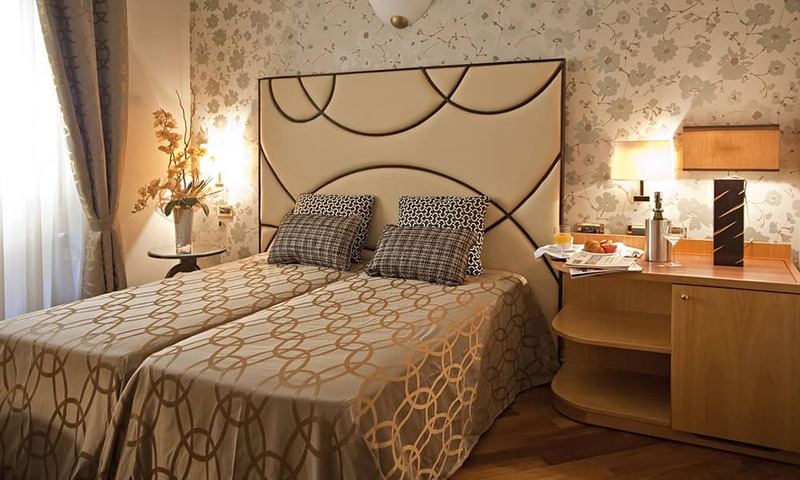 Hotel Europa Verona offers special triple rooms defined as Superior. 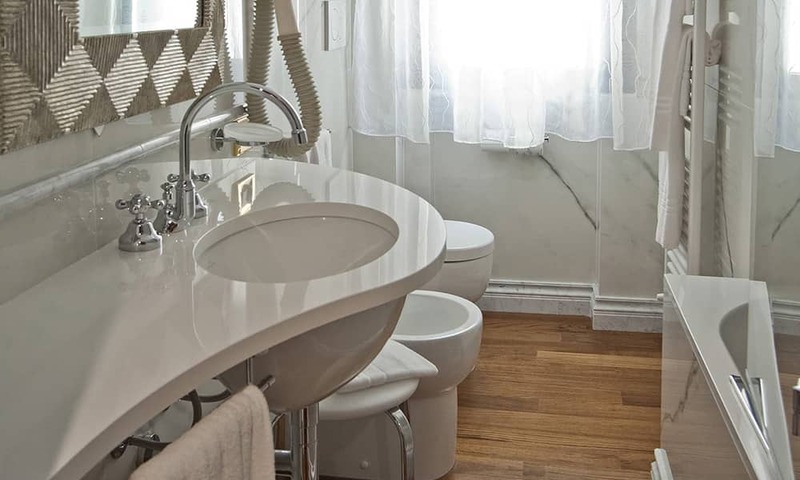 They consist of a double or a twin room and a single room with a connecting bathroom. They are ideal for families with two parents and a child. They are the answer for an unforgettable stay in privacy and relaxation. 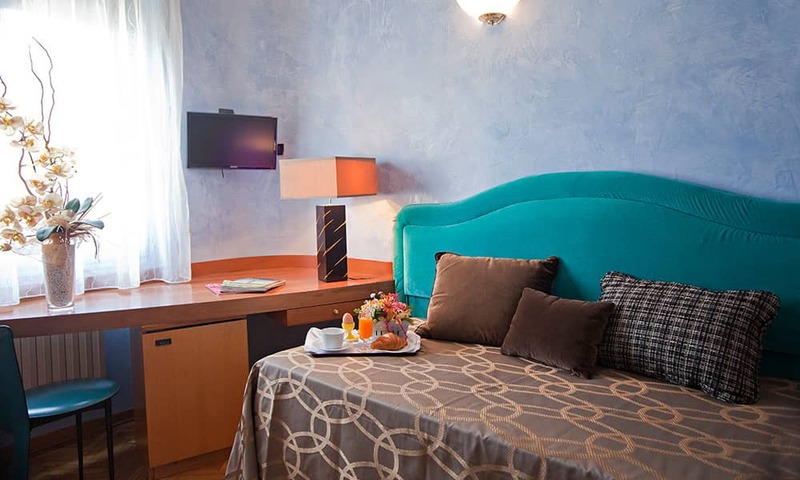 This comfortable solution offers rooms refurbished with parquet flooring, modern pieces of furniture, en suite bathroom, direct dial telephone, single use air conditioning, heating, WiFi, LCD satellite TV, minibar, hair dryer and safe. 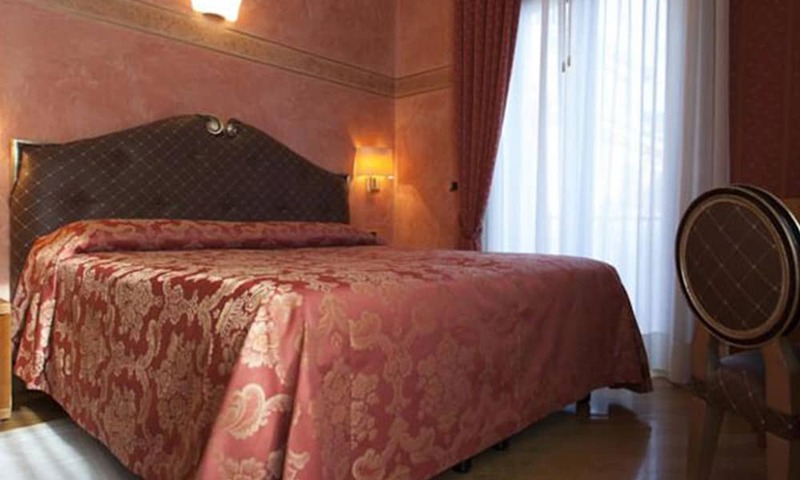 Hotel Europa Verona offers quadruple rooms. They consist of two communicating double rooms or of a double room joining a twin room. 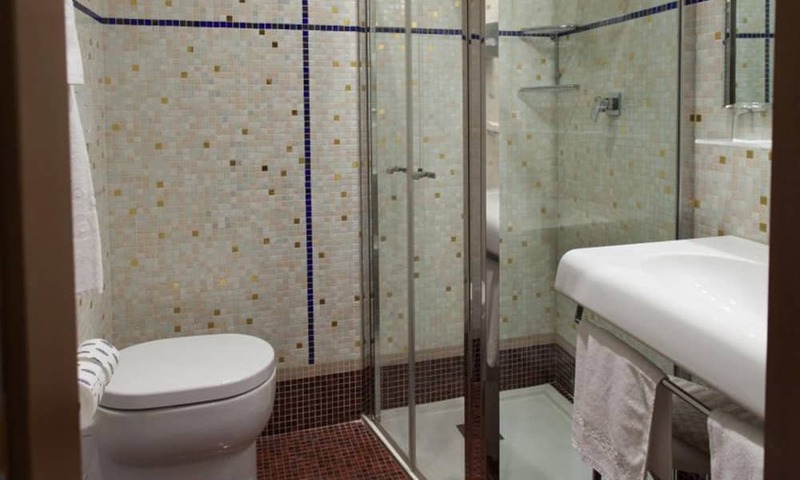 The rooms are cosy and comfortable refurbished with modern pieces of furniture, en suite bathroom, direct deal telephone, single use air conditioning, heating, WiFi, LCD satellite TV, minibar, hair dryer and safe. 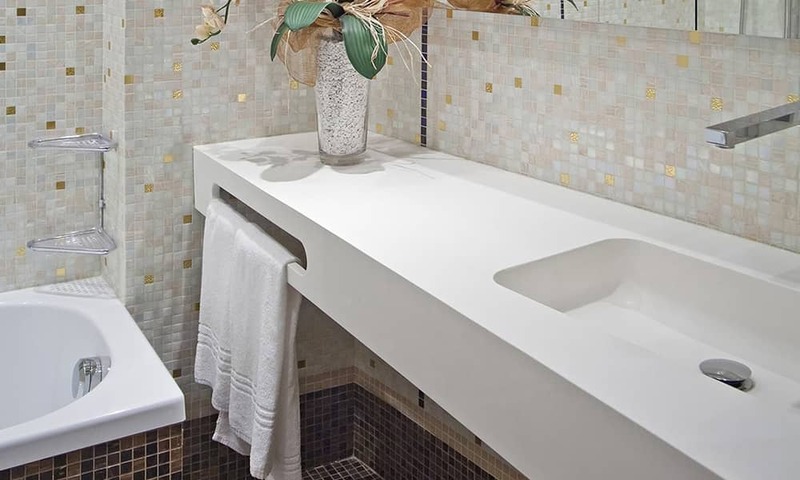 They are ideal for an unforgettable stay between privacy and relax.